Project Size: 146,000 sq. ft.
46 Penn Centre is designed to be a 13-story high-rise corporate headquarters, featuring eight stories of offices placed over six stories of parking. 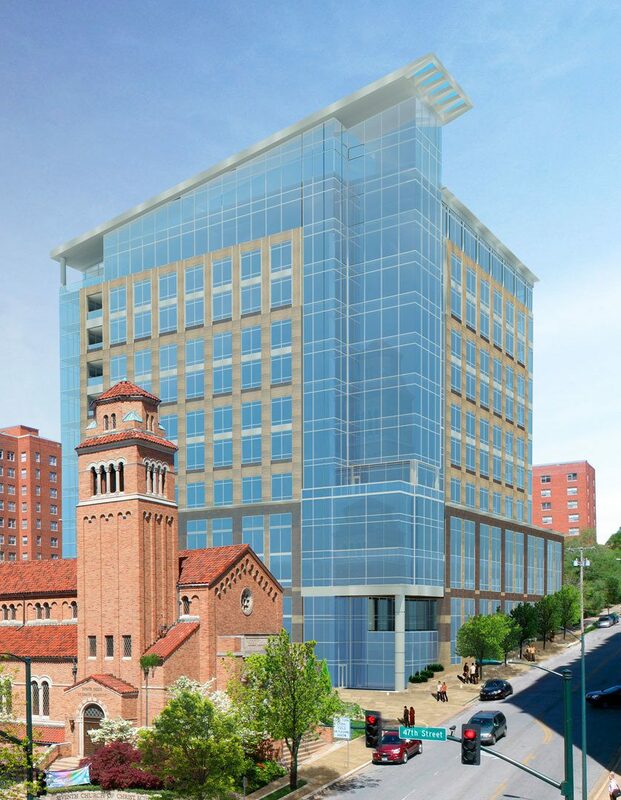 The building will be the newest addition to the skyline of the famous Country Club Plaza area in Kansas City, nestled in an area of upscale homes and luxury condominiums. The exterior provides a modern design with a sloped monumental glass crowning, a stone cladding base and precast, blending successfully with the surroundings of the historical buildings within the area. 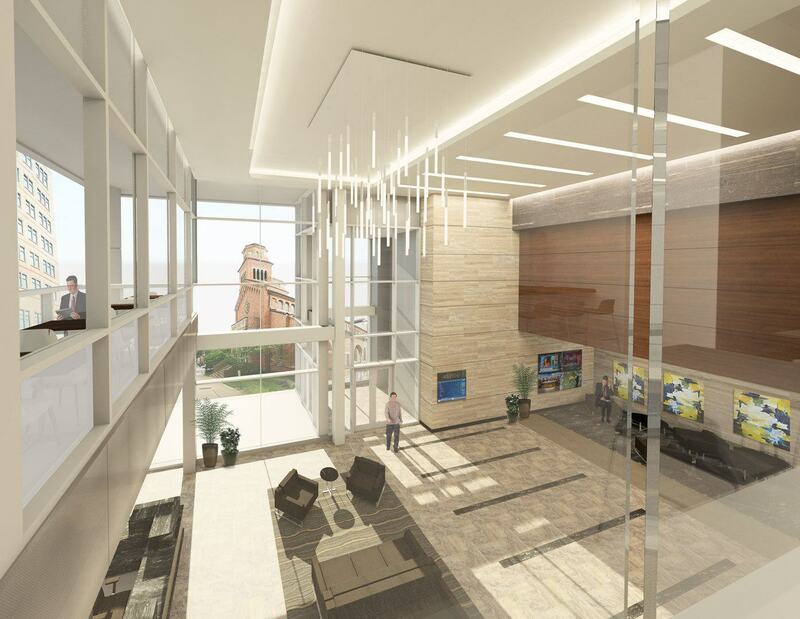 Two-story main entrance lobby will feature a glass-curtain wall to feature views of the Country Club Plaza. 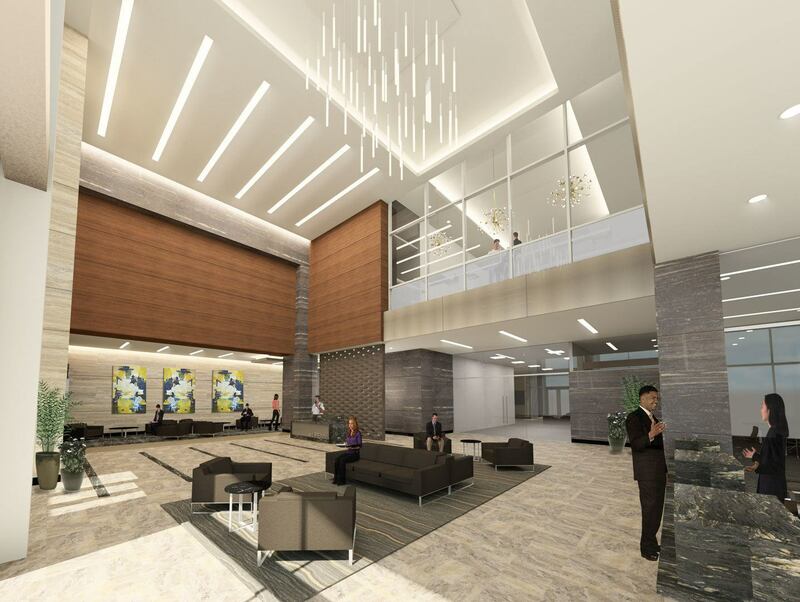 In addition, stone-clad columns, granite flooring, wood-covered panels, a digital tenant directory, and stainless-steel accents will provide a unique design destined to impress. 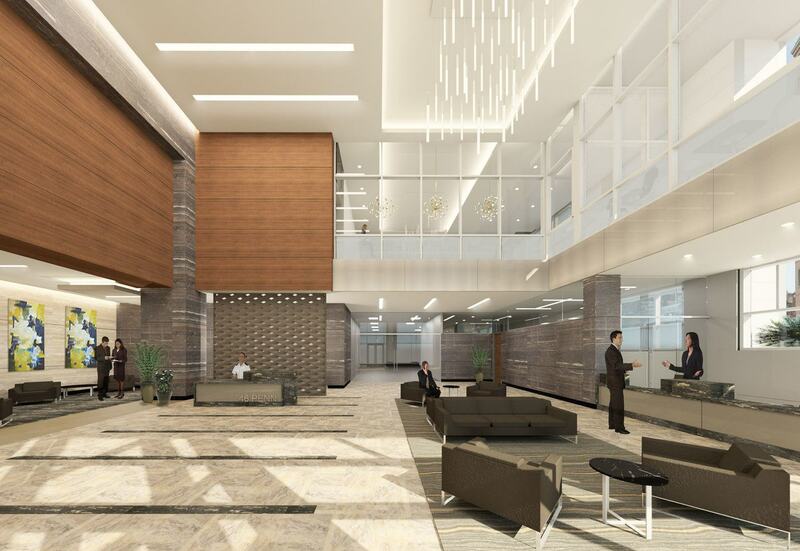 The office building is carefully designed and planned to achieve LEED standards. Each floor plate is more than 24,000 square feet of open floor space with only four columns to provide maximum efficiency and lease space. All floors will have access to covered balconies, outdoor terraces, or gardens. 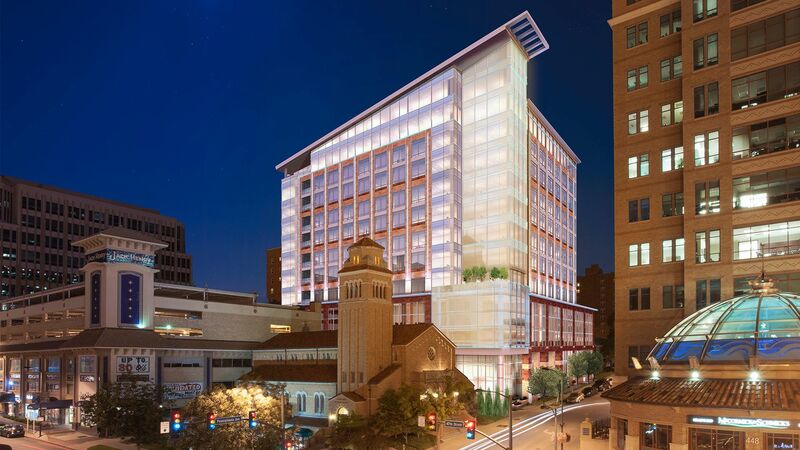 The building’s monumental cap will be constructed with LED back-lit glass panels. The planned restaurant will be worthy of the Country Club Plaza setting. Prominent exterior signage in such a signature location adds to the commercial appeal of the building.